The Financial Times called Wine-Searcher the “Google of Wine”. Wine-Searcher picks up the wine, spirit and beer prices of merchants everyday, all over the world. Wine-Searcher has also been called the Trivago for wine. The main markets are America, UK, and Europe. China grows at a rapid pace as the Chinese consumer discovers wine. Wine-Searcher has five million monthly active users. The wine trade the world over relies on the pricing and location information as well as serious wine consumers who want to find their favourite wine, spirits and beer at the best price near them. Join us, as Ross Brown tells the story of how a small team in NZ has grown into a global player, that according to the LA Times “has done more to transform the commercial landscape than any other”. 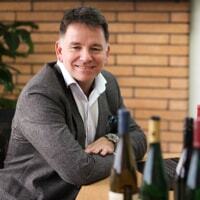 Ross Brown is the Sales and Partnership Director for Wine-Searcher, where he shapes the overall global sales tactics. Wine-Searcher is a NZ company, formed in 1999, that has quietly grown into a globally significant player. We’re excited to bring you this rare opportunity to hear their untold story.